The Government of Norway and Somaliland agreed to ameliorate existing bilateral relations. Norway also announced that it will help develop capacities to manage natural resources, like oil and minerals, to support the Government`s counter piracy activities and to foster dialogue between the Somalia Federal Government and Somaliland in order to develop political stability in the Horn region. The government of Norway is determined in supporting the proper management of abundant natural resources in Somaliland. This development follows a meeting between Somaliland President Ahmed Mahmud Silanyo and the Norwegian special envoy to Somaliland and Somalia Mr. Jens Mjaugea held at the Hargeisa presidency. Though the meeting was held in-camera a joint press conference by foreign minister Mohamed Behi Younis and Envoy Mjaugea divulged snippets of discussions most importantly being the commitment to enhance existing bilateral relations between the two countries. According to FM Behi Younis the Somaliland government was beholden to the Norwegians for accepting to share their wide knowledge and experience in resources natural resource management especially oil and minerals. "Apart from resource management skill transfer the Norwegians are also intent on facilitating our government's counter piracy activities as well as dialogue with the Somalia Federal Government-SFG" said Behi while acknowledging the imperatives of enhancing bilateral relations Envoy Jens Mjaugea revealed that his government intent on helping uplift livelihoods of Somalilanders shall facilitate skilled management of natural resources in the country that abound both onshore and offshore. Informing that Norway at large is home to many Somalilanders thence cautious of his next Statement Mr. Jens Mjaugea revealed that Oslo, the seat of the Norwegian Government, and in line with that of other members of the international community considers Somaliland as part and parcel of Somalia. 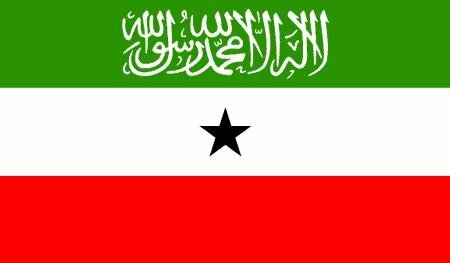 The Norwegians who apart from determination to support ongoing internationally sanctioned talks between Somaliland and Somalia is also Seeking a formula on role to play with assistance in political stability and dialogue within the Horn region. While not officially announced it is most likely that Norway which is among the major direct and indirect donors to the country shall be the first country to accept invitation by Somaliland to participate as observer in its talks with Somalia expected to resume anytime soon in Turkey.